Panama and Colombia share a land border, and also an interest in the conservation of humpback whales within their territorial waters. Waters off the coast of Panama, Colombia, and Costa Rica, are the northernmost reproduction zones of the southeast Pacific population of humpback whales. Local whale conservation organization Fundación Yubarta has carried an evaluation of whale life in the Las Perlas archipelago in Panama. In an area of 760 sq. km. 68 whales were observed during 23 hours of navigation, 32 of which were monitored over a 12-hour period. Of special importance was the sighting of females with young and the detection of songs. This shows that Las Perlas is used for breeding by the whales. Smithsonian Tropical Research Institute (STRI) and environmental authorities in Panama are trying to conserve the humpback whale in the Las Perlas archipelago, which has been made a Marine Corridor in Panama. The Archipelago of Las Perlas is 40 nautical miles from Panama City. Las Perlas is mainly inhabited by small fishing communities and is made up of about 250 different islands – larger ones include Isla San José and Isla del Rey. The fishing community is interested now in whale conservation in order to grow whale watching tourism as a sustainable business. 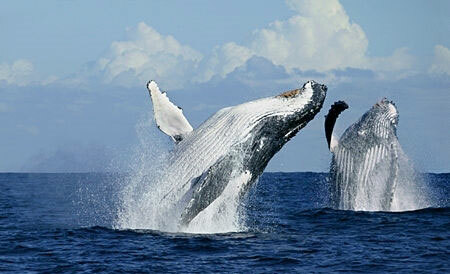 EcoCircuitos offers thrilling Whale Watching Day Tours departing from Panama City for only $250.00 per person. Our tour includes the boat transfer from Panama City to Contadora Island, your Whale Watching Tour on the Island, and a tasty lunch to make your day perfect.